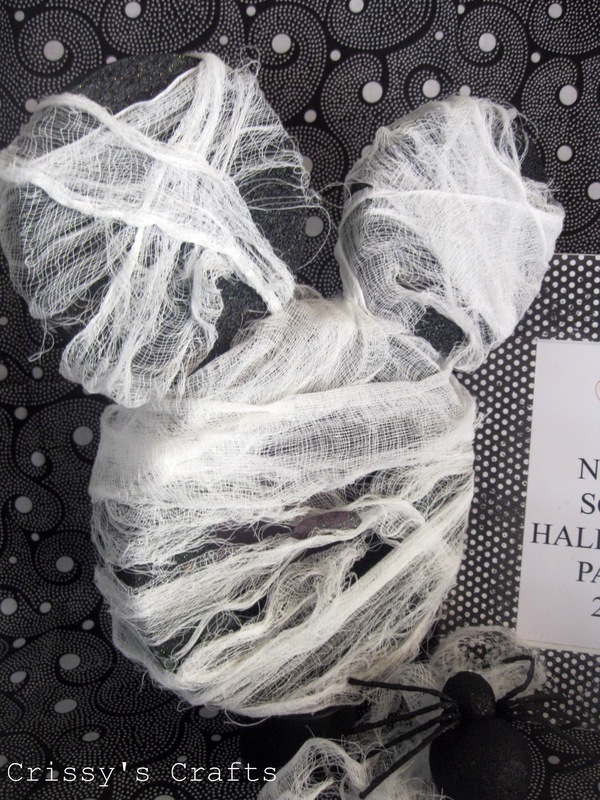 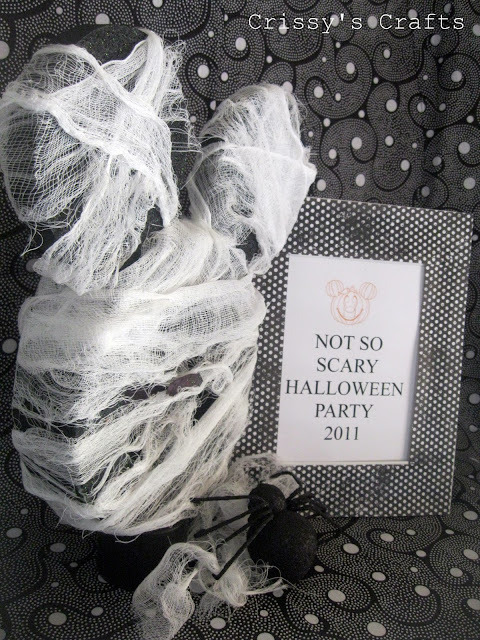 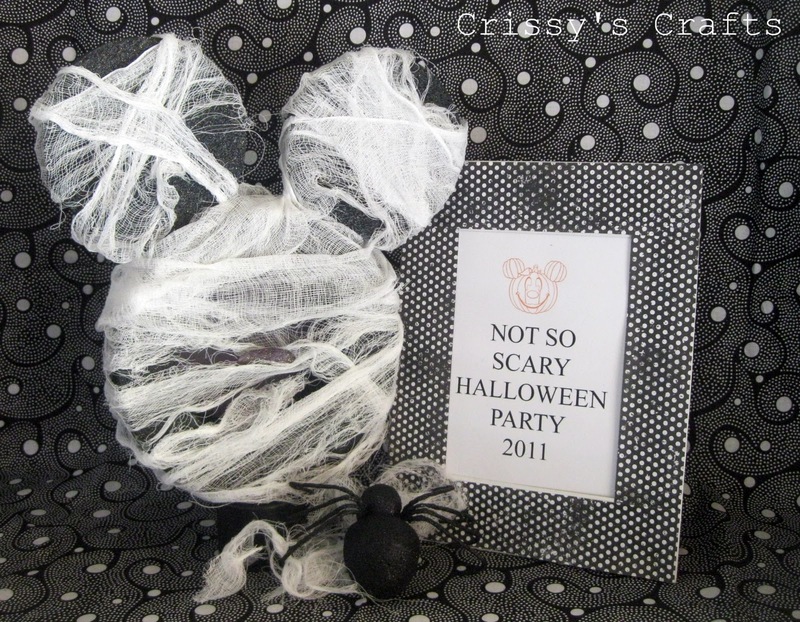 Crissy's Crafts: Not so Scary Halloween Party - Mummy Mickey! Not so Scary Halloween Party - Mummy Mickey! 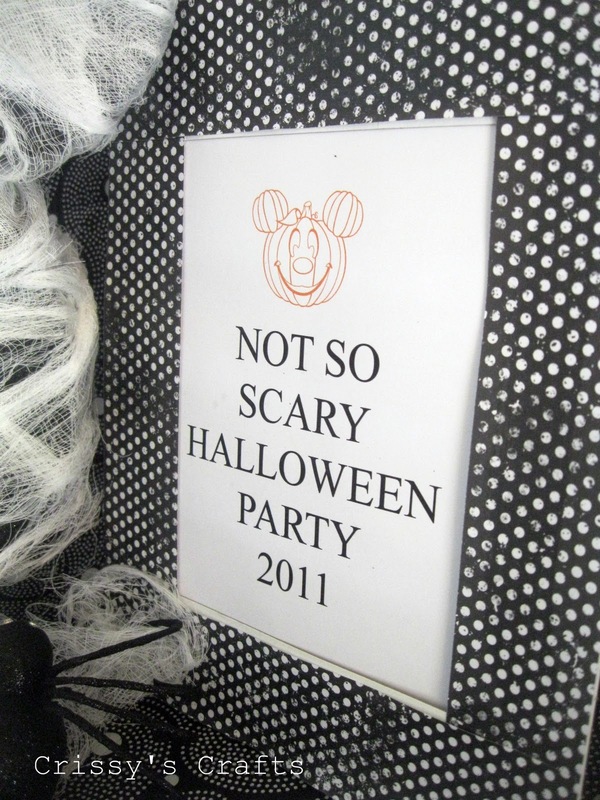 I was trying to figure out what to do to decorate the food table that was not too scary and within the party theme. 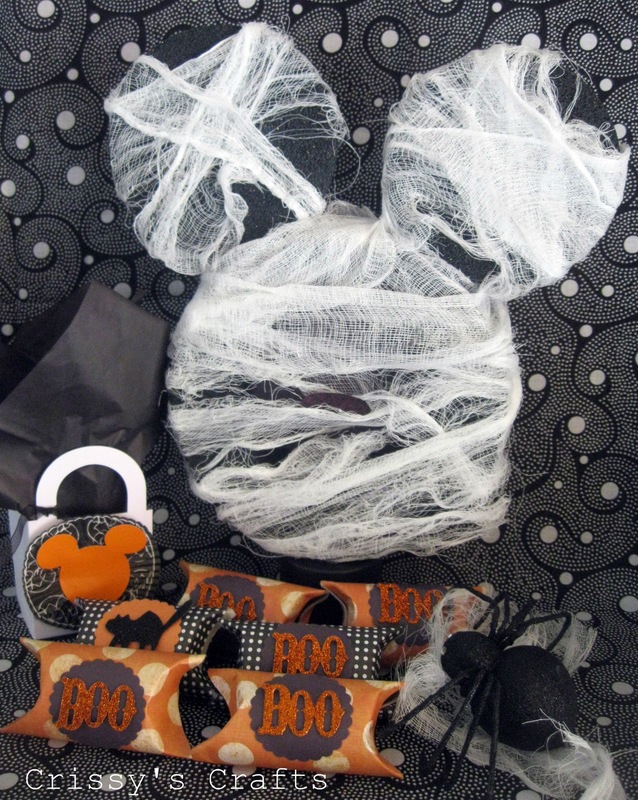 That is how Mickey Mouse - The Mummy came alive! 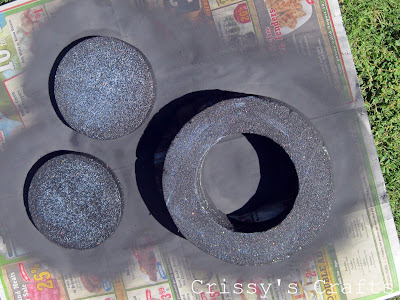 Spray paint the Styrofoam pieces, let it dry. 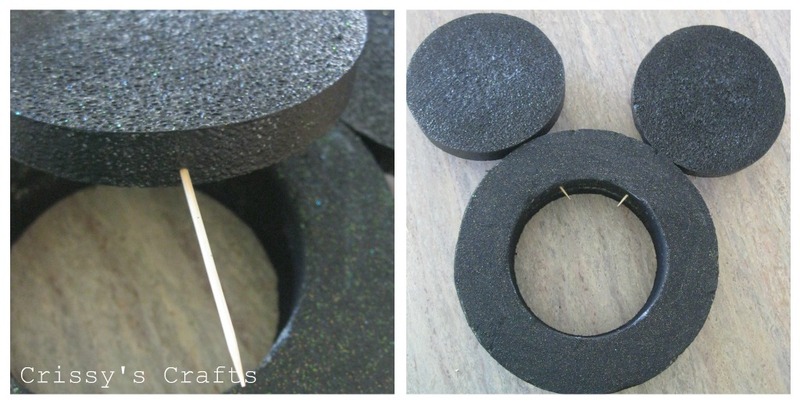 Attach Mickey's ears using the toothpicks and adding glue to secure them. Wrap the Mickey with the cheesecloth. 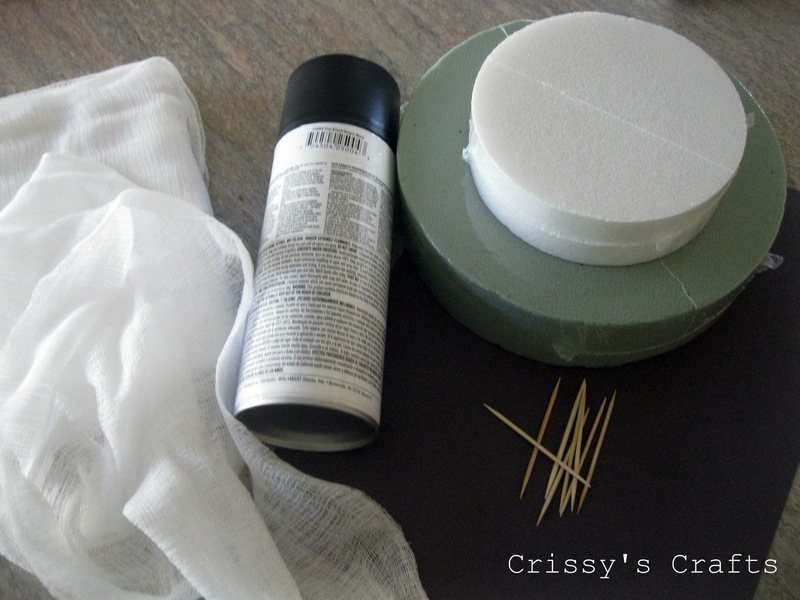 Crissy! 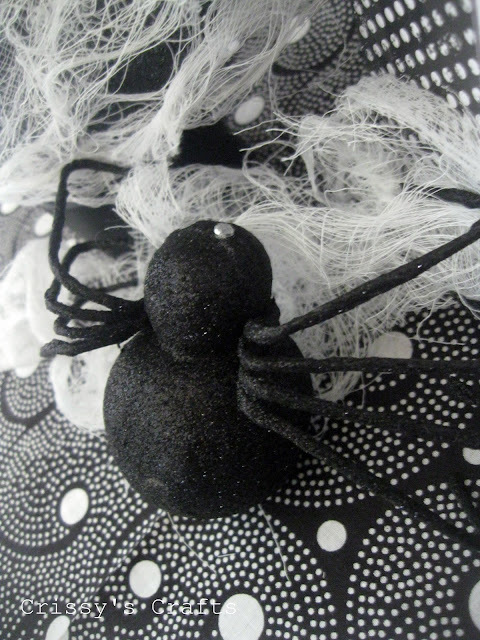 You are truly Amazing! 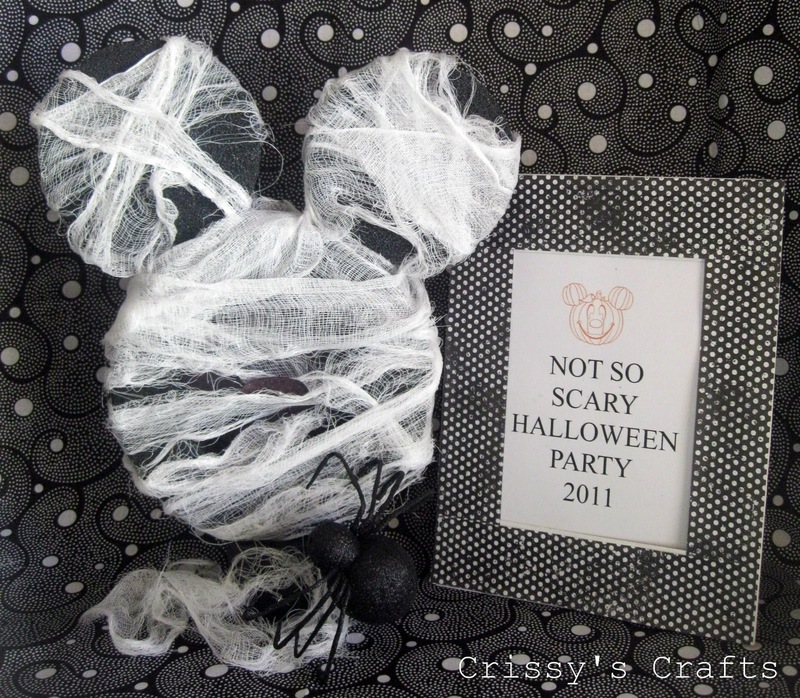 LOVE the Mickey crafts! I am loving all your Mickey crafts! I found you through I Heart Naptime. Thanks for sharing!